In her latest book, Riftflade, Author River Jordan explores a fantasy world that was inspired by a poem she read. River and I are close personal friends, although we have never met in person. I saw the beginnings of the story that Riftglade ended up being so I knew where she was going with it in the very early stages. However, just like most reading this interview, I have not read the finished product. Today, River discusses some of the content, the ideas and how and why she wrote this story and others. Princess Yaliza is the youngest daughter of High King Vodyanik as well as his favorite. Rather than be forced into a marriage without love, she sadly leaves the kingdom to search out her soul-mate. Fate steps in and she is snatched from the sky and rolls unconscious into the forest, Riftglade, where she meets her destiny. When High King Vodyanik arrives in Riftglade, a dark magik befalls the gathering, paralyzing everyone. In a bold act of treason, Yaliza is swept away in a conspiracy that could leave her bereft and alone. Why is she his favorite? She is the exact replica of her deceased mother AND the baby of the family. Why did you choose to make her the baby and an exact replica of her deceased mother? Is that significant in some way to the story and relevant in any way to you? When writing Riftglade, the characters formed themselves. But I will admit that I am in fact the youngest in my family and favor my mother in looks and stature. In some ways, could you say that Yaliza is a part of who you are? In a way, all of my characters are part of me. Yaliza is a part of who I am. I don't intentionally create my characters that way. When they take on their own "energies" and pour out of my imagination, usually they will have my traits and experiences. Did that go through your mind as you were writing Riftglade? With Riftglade, it just poured out of me. It had been singing in my head for a few days until it got its way. Especially the love scene, it wanted to be written. It was kind of a turning point for my writing. Turning point, in what way? It seemed to open up new avenues of confidence and creativity for my writing. I recently wrote a true horror story that is to be released in Crushing Hearts &Black Butterfly's Dark Light 3 anthology in April. As well as a comedic short story to be released in CHBBs' Dark Light 4 anthology. Do you anticipate that you will do a Riftglade, the sequel, or Part 2? I've almost finished book 2 which has a working title of Rige Skygge. If you had to describe Riftglade, how would you do so? Triumph? Tragedy? Or whatever you think it is or the readers will think it is? Well, it has comedy, drama and tragedy. I wouldn't know how to pigeonhole it into one category. Were there any surprises in how you thought up a character and then how they developed into something else in the course of writing the book? Yes. Galen, the Unseelie King. He channeled his inner darkness though he was raised by the High King as a Seelie. His sojourn in Underland took on an ominous nature as you'll see in the book. That is the court of malevolent/evil fairies. The Dark Court. Did you make that up, or is it a common used term? Did you rely on a lot of that mythology and did you have to do a lot of research for this book? I did research regarding hierarchy and courts. Everything else is mine. Did you get emotionally attached to any of your characters in the book? Yes. Galen. King of the Dark Court. Because he loves Yaliza. For the last ten years he was assured she was his soulmate. If you had it to do over again, would you change anything in the book? I'd thought about developing a longer, deeper relationship between Mathias and Yaliza but the fact that they are mythological creatures demanded it be instantaneous. What is it about new and amazing worlds that interests you? Everyone has inherent in them a natural curiosity that is fascinated with the possibility of other worlds. It is a kind of vacation away from the day to day stresses. If I love to be captured by a story which involves something special, unreal or different - possibly magic, then I know other people will. Everyone enjoys being in someone else's shoes - someone extraordinary, so that we can look at the world through their eyes. You can switch off and enjoy letting your imagination run wild for a while! So you view it as escapism? It's an apt description, although the connotation leans toward a bit extreme. Any type of writing, if it's good writing, will plant you in the world that has been created. It's an interesting thing to think that as authors we are all looking to escape into fantasy. Because you enjoy it yourself, do you gravitate more towards writing in this genre? Yes, I love writing in that genre because I fell in love with it as a child. What kind of writer do you view yourself as? I think that I'm a plastic facsimile of the kind of writer I would wish to be. That is not to say that I think I am less of a writer, but to say that I could ever create epic worlds like J.R.R. Tolkien would be a huge stretch. But one never knows. Maybe he thought that at some point as well. Do you have any plans to write non fantasy, or more grounded mainstream books, maybe straight romantic novels or do you wish to stay in the fantasy world realm? Most of my writing leans toward mainstream with some paranormal elements to them. But I do have one current project that is a mainstream fiction horror. Actually, Riftglade is the first story that is completely in a fantasy world. Do you start out with an idea of how it will go, relative to the amounts of paranormal and fantasy, or does it just develop and you go with the flow? I would say a bit of both. For example, with Riftglade I just happened to read a poem by Gary Robinson, Clover's Bliss. I'm fascinated with poetry and that poem began a thread of an idea that developed into Riftglade. It was extremely fun and exciting but because the ideas were smashing into each other I had to discipline that voice with a kind of outline. What unique or special life experiences do you have that you think makes you a different type of writer from others? When I was a young girl my family went through big changes. The world I lived in changed forever by the death of my brother, Jaime. Idyllic is what I would describe my life before his death, nightmarish afterward. You see, I was clueless the first eight years of my life (before my brother died). I was safe in the security of my family. Then, it all fell apart. My sister and I had no one. We were alone and homeless because our house burned and was unlivable. When you're homeless or living off of the generosity of others you see life in a different way. You see utter poverty, abuse, violence. You see a world that is desperate and depraved. It's a lot for any child to endure. But we survived it. For myself, my eyes were opened forever. This probably doesn't make me much different from others, but...maybe just a little bit. And do you think elements of those experiences find their way into the stories you write, like Riftglade? I didn't realize that those elements had revealed themselves in my writing. A really wonderful friend read one of my stories and then mentioned the fact that the heroines overcame much adversity finding inner strength to survive. Give me an example from Riftglade if you can think of one? 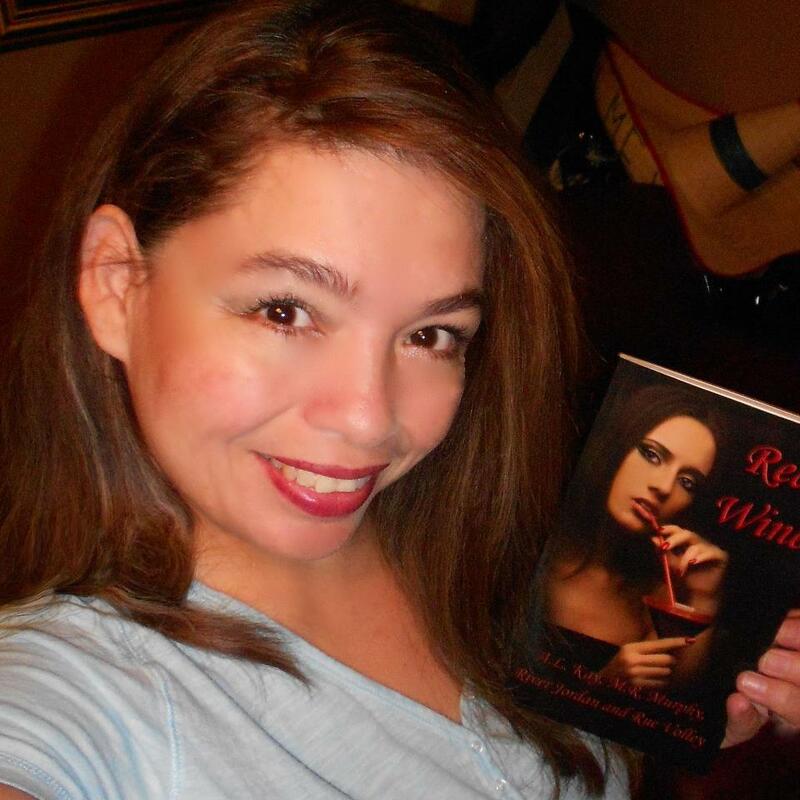 Princess Yaliza has to face life outside the Kingdom. Outside the life that she has lived for three hundred years. Unintentionally, I have interwoven my own experiences in my stories. Did you know you did that before...or if not,...then after when you re-read your work? I knew my heroines had overcome adversity because that is how it was meant to be. What I didn't realize was that I was mirroring my own life experiences. Growing up, I never looked back hard enough because it hurt too much to do so. I only visited those memories later, when I was older. It was actually a big surprise to me. If there was one thing you could change about the finished product that is Riftglade, what would that be..if anything? I wouldn't have stopped there. I wish I would have kept writing while the passion to do so was strong. I would probably expand Galen's role. Explain more why he was the way he was. But other than that, I wouldn't change anything. So, you have said you are likely going to do a sequel. Will you explore that in the sequel? Yes. It's all about Galen. Tell me more about Galen. Is his character based on anyone you have known in the past/present. Or is he just a character you made up out of thin air that developed? Galen developed himself. He is like an amalgamation of every one of us that has had to walk away from the person we thought was "the one". What do you think readers will take away from this book? Is that a conclusion you came to writing this book, or before you wrote the book? Before. but it's in the story. 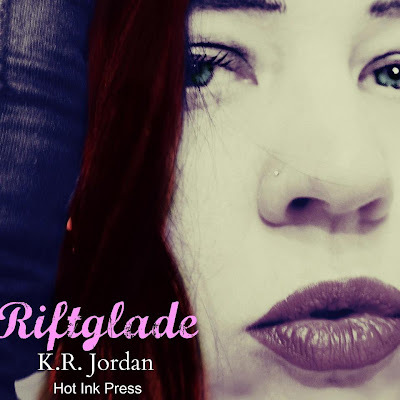 You have used a book trailer to promote Riftglade. Is this the first time you have tried that? How has it gone? What kind of feedback have you gotten from it? How did you learn to do it? I have created an unofficial Riftglade teaser trailer. I used a MovieMaker program that helped me to combine my reading, some pictures and music. It wasn't very difficult but my trailer is basic and was quite easy. Most of the people who've seen it have commented that they enjoyed it. I was even asked to enter it into a "trailer" contest. I'm very pleased with the public's response to Riftglade. Mostly they like the "world" that I have created and have commented several times that my style of writing brings the world and characters to life. There were a couple of comments about editing. One reviewer mentioned the "language" of the story being a bit archaic at times. What kind of weight do you put on them and how do they effect you? I'm concerned about the editing. Everyone deserves to have good editing when they are puchasing any kind of book. The "language" part is a very appreciated critique. I will not change the voice of the story because it is meant to be other-worldly and even a bit archaic. It's my creation and I meant it to be that way. But I will keep it in mind while writing Rige Skygge. What is your general marketing strategy for this book, and what have you learned that you will use again or might do differently for future books? Mostly my publisher takes control of the marketing. But the bulk of my own marketing is word of mouth, Twitter, and Facebook. Though I liked the idea of the trailer, it seemed to fizzle. Didn't "hit" like I thought it would. I don't know that I would do that again. But even so, it will pull up if someone enters the "tag" I attached to it. Your book cover. How much input did you have into that and did you do any of the creative parts of that? If so, why does it look as it does? I went through many, many pictures and decided on that one myself. When I saw it, I knew it was the one I wanted. You are a nature lover. How does that play into your writing and even more so into Riftglade, if at all? I've always had a love and respect for the world around me. In Riftglade, I tried to let that love have free rein. Where can we find Riftglade if we want to purchase it? A million banshees screaming in agony and defeat tunneled through my unconsciousness, shredding the neural tissue and eviscerating my optic nerve. Could there be blindness in death? In the wink of a wyte I knew that I would die if the entity reached my brain. The banshees circled as if aware of my semi-conscious thoughts and then come speeding toward the massive hole they'd ripped into my neural tissue. They slam into the wound they’ve created and, finding they are unable to rip through, proceed to repeatedly bite the already weak tissue. "Aaaiiiiiieeeeeeee! Be gone, malicious shrews!" At my weakened command, a cloud of black viscous droplets stream out of my nostrils, pummeling their path out of my head. Now a prisoner of Woden's Hunt, I lay sprawled across the silica rich amber dust of Rige Skygge where I had been unceremoniously thrown. Circling in the swirling mass of acrid ether above me were the invading banshees in their elemental form. It would be easy just to lay here and allow myself to fade into the Land of Clouds where death would be swift at the shredding thirsty hands of the banshee, but Princess Yaliza would be coming to rescue me soon. I was determined that she should find me alive and running in her direction and to the safety of Faerie. Great interview! I read and enjoyed Riftglade, and I'm looking forward to book 2! Thank you, Michelle! I hope to have it ready for you soon.